October 17, 2012  Both candidates fueled up on potatoes and meat last night as they prepared for the debate at separate Marriotts near Hofstra University. But did what they choose to eat help their performance? We asked an expert to weigh in. October 17, 2012  Pundits fretted that the town hall format for Tuesday's presidential exchange would yield tepid results: undecided voters posing questions with little more than a passing touch from the moderator. The media's storyline quickly shifted, however, from the pressure facing the president after the previous debate to his more energetic performance. 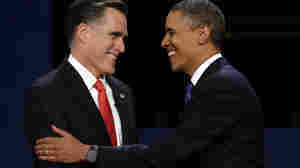 October 8, 2012  In the latest Pew poll, Republican presidential nominee Mitt Romney leads President Obama 49-45. Lights, Camera, Action (zzzz), Tweet! October 4, 2012  There was plenty of media spin and punditry in Wednesday's debate, not just in Denver but on Twitter. 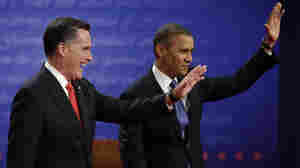 The candidates appeared to be lacking in real zingers. Instead, it turns out the real conversation was happening through social media. August 13, 2012  For the first time in 20 years, a woman — CNN's Candy Crowley — will moderate a presidential debate, the Commission on Presidential Debates announced Monday. 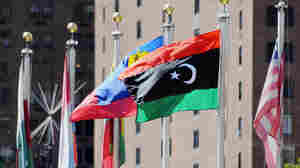 The moderators for all three presidential debates and the sole vice-presidential debate were named. 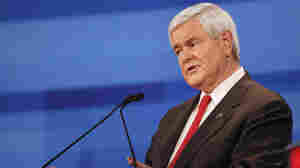 December 16, 2011  Newt Gingrich used one of his favorite talking points, that when he was speaker of the House, he "balanced the budget for four straight years, paid off $405 billion in debt." But PolitiFact checked the numbers and found he's off on both counts. 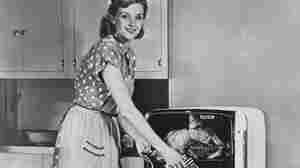 Republican Presidential candidate Texas Gov. Rick Perry announced his flat-tax plan in Gray Court, S.C. on Tuesday. Will Rick Perry Skip Future GOP Debates? October 27, 2011  A spokesman for Texas Gov. 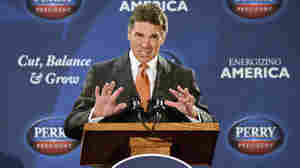 Rick Perry raised the idea that he might not compete in all of the upcoming Republican face-offs. Weak debate performances have put a dent in his polling — and his fundraising. October 19, 2011  What happens in Vegas doesn't always stay in Vegas: PolitiFact offers a reality check on squads some of the candidates' statements from the GOP debate. 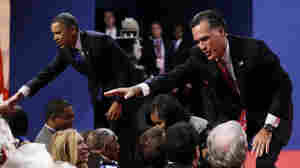 GOP presidential candidates at a debate on the economy, Dartmouth College in Hanover, NH, Oct. 11, 2011. 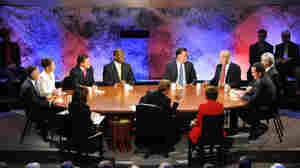 October 11, 2011  Unlike the previous half-dozen debates, this one took place around a table. And by sitting everyone down, the sponsors managed to elevate the discussion. 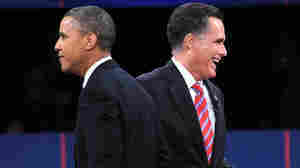 October 8, 2008  Analyze this: The 2nd Presidential Debate.